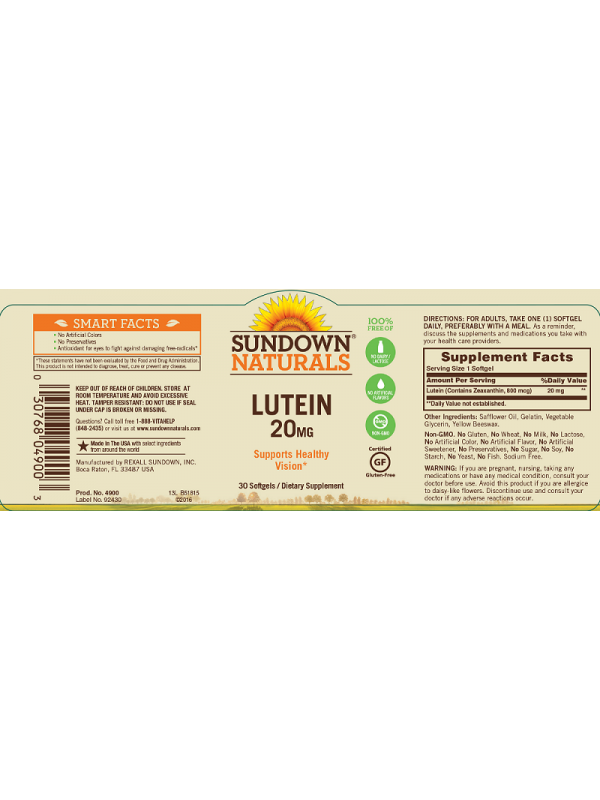 Sundown® Naturals Lutein is a clear-cut choice for supporting your eyes and healthy vision. 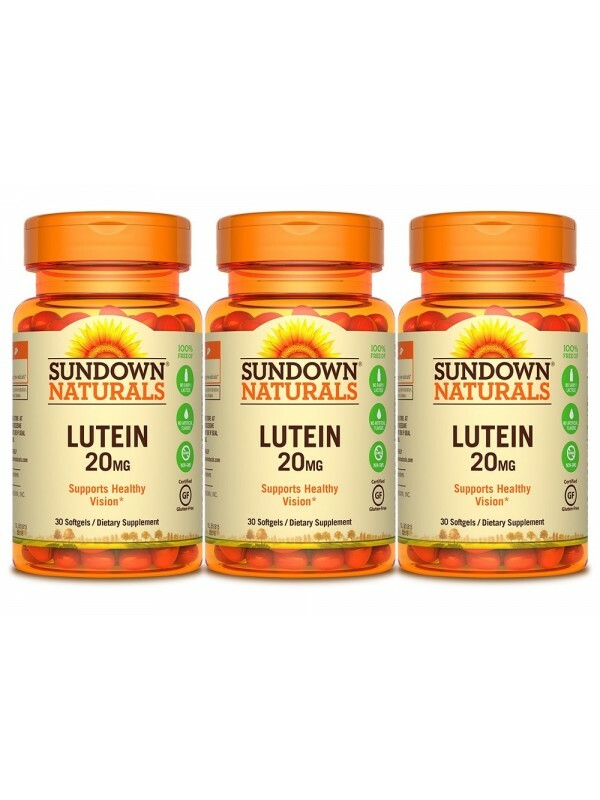 * Lutein helps with contrast sensitivity, one of the key factors that contributes to activities like night driving, or overall night vision. * Our softgels are easy to swallow, and one per day is all you need. Lutein is naturally found in healthy eyes, but your body cannot produce it and it must be obtained through your diet. Other Ingredients: Safflower Oil, Gelatin, Vegetable Glycerin,Yellow Beeswax. and consult your doctor if any adverse reactions occur.